As Arthur C. Clark’s Third Law states, “Any sufficiently advanced technology is indistinguishable from magic.” When the big brains of our team put their technological prowess to work, the results indeed look and feel a lot like magic. We dreamt up the idea of taking a virtual scuba dive — with 14 other people — but there was no “off the shelf” technology to make that happen. 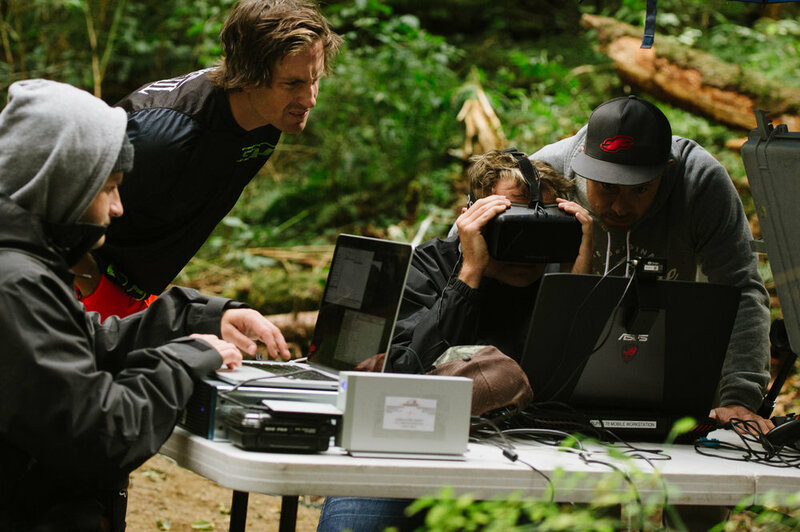 So we created new high-capacity virtual reality (HCVR) software to develop Reef Rescue. The HCVR system prototype debuted at the SIGGRAPH conference in 2016, and Reef Rescue debuted at The Audubon Aquarium of the Americas in November, 2017. We needed to experience a new attraction long before any construction began. So we ordered the first Oculus Rift developer kit and started writing code to create Mushroom VR™, our collaborative media review and approval system. It is now a standard tool in our creative process. Mushroom VR was used to develop The Lost Temple, the world’s first Immersion Tunnel attraction, and the first to be created with this “pre-experience” system. For the Wings Over Washington Flying Theater live action shoot, Mushroom enabled the production team to review new footage inside the virtual attraction theater, on the virtual ride platform, within minutes of landing the helicopter.